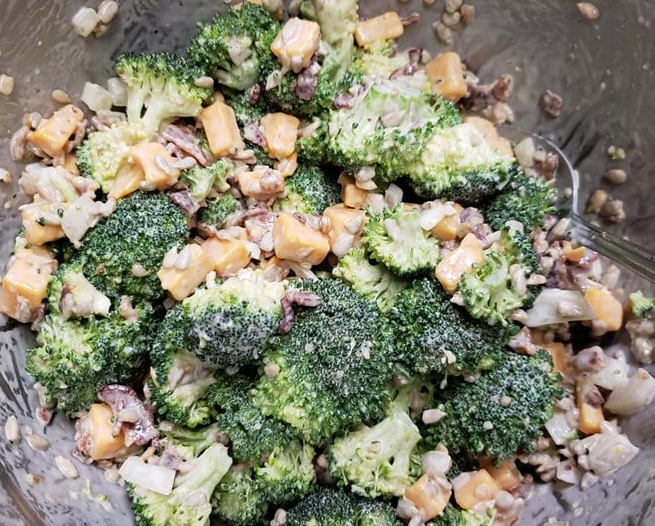 If you are looking for a great keto side dish you can throw together for those summer cookouts, look no further. This recipe could not be easier and will be a great addition to any summer bar-b-que. It is light, full fat, and delectable. This recipe is so simple to make. Mix all ingredients together, eat immediately or chill and enjoy. Looking for other ideas to take to that summer bar-b-que? Check out these great options below.